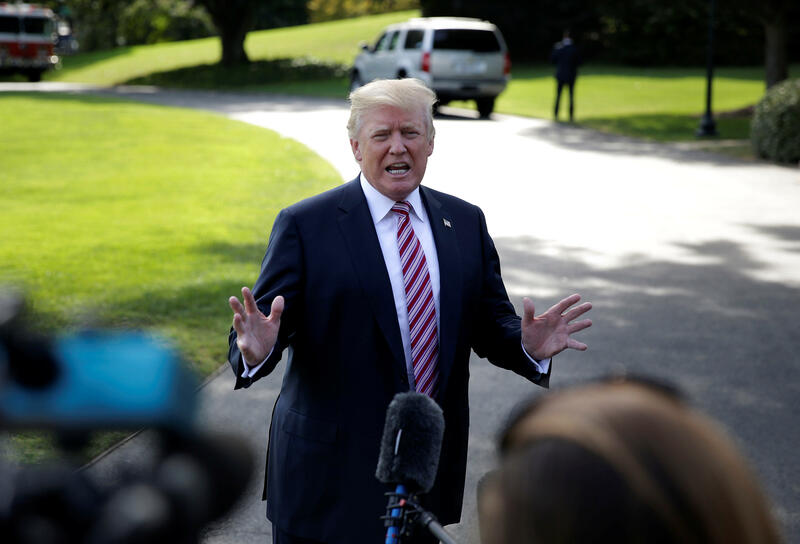 Trump blasts San Juan mayor Carmen Yulin Cruz for "poor leadership"
President Trump began lashing out at the mayor of Puerto Rico's capital city Saturday morning in a war of words over recovery efforts after Hurricane Maria smashed into the U.S. territory. Mr. Trump fired off a series of tweets criticizing San Juan mayor Carmen Yulin Cruz for criticizing his administration's hurricane response. The mayor has accused his administration of "killing us with the inefficiency." The president responded by citing what he calls "such poor leadership ability by the Mayor of San Juan, and others in Puerto Rico, who are not able to get their workers to help." Mr. Trump said "they want everything to be done for them when it should be a community effort. 10,000 Federal workers now on Island doing a fantastic job." He says the hurricane "totally destroyed" Puerto Rico and that "the military and first responders, despite no electric, roads, phones etc., have done an amazing job." Mr. Trump also says the mayor was "very complimentary only a few days ago," but "has now been told by the Democrats that you must be nasty to Trump." San Juan mayor: "We're having a humanitarian crisis here"
The mayor of Puerto Rico's capital city, for her part, has accused the Trump administration of inefficiency as the federal government continues to render aid to an island devastated by Hurricane Maria. She has also pushed back on White House messaging about the Puerto Rico aid effort, which was described as a "good news story" by acting Homeland Security Secretary Elaine Duke. Mr. Trump says Washington is - in his words - "fully engaged in the disaster and the response and recovery effort." He's trying to make the case that his administration has been doing an "incredible job." Cruz rejects that view and she's pressing Mr. Trump to "make sure somebody is in charge that is up to the task of saving lives." On Saturday morning, she responded to the president's tweet by saying nothing can distract from the priority of saving lives. Mr. Trump didn't let the matter go, later tweeting that the "results" will speak louder than "complaints" from San Juan's mayor. Results of recovery efforts will speak much louder than complaints by San Juan Mayor. Doing everything we can to help great people of PR! Thousands more Puerto Ricans have been getting water and rationed food as an aid bottleneck began to ease. But many remain desperate for water and other necessities. The president also made a point of praising other leaders in Puerto Rico, and urging people there not to trust the "fake news," even while most in Puerto Rico go without power and cannot watch television. The Governor of Puerto Rico, Ricardo Rossello, is a great guy and leader who is really working hard. Thank you Ricky! Congresswoman Jennifer Gonzalez-Colon of Puerto Rico has been wonderful to deal with and a great representative of the people. Thank you!